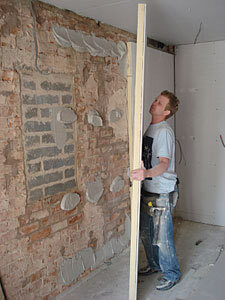 Many building projects require insulation to meet building regulations. Insulating external walls is easily achieved with special insulated plaster board. This special board can quickly insulate your home and makes a perfect base for skimming as it is normal plasterboard one side and insulation on the other.